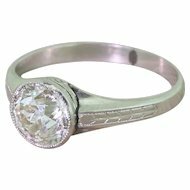 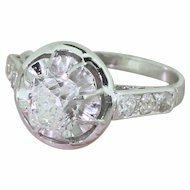 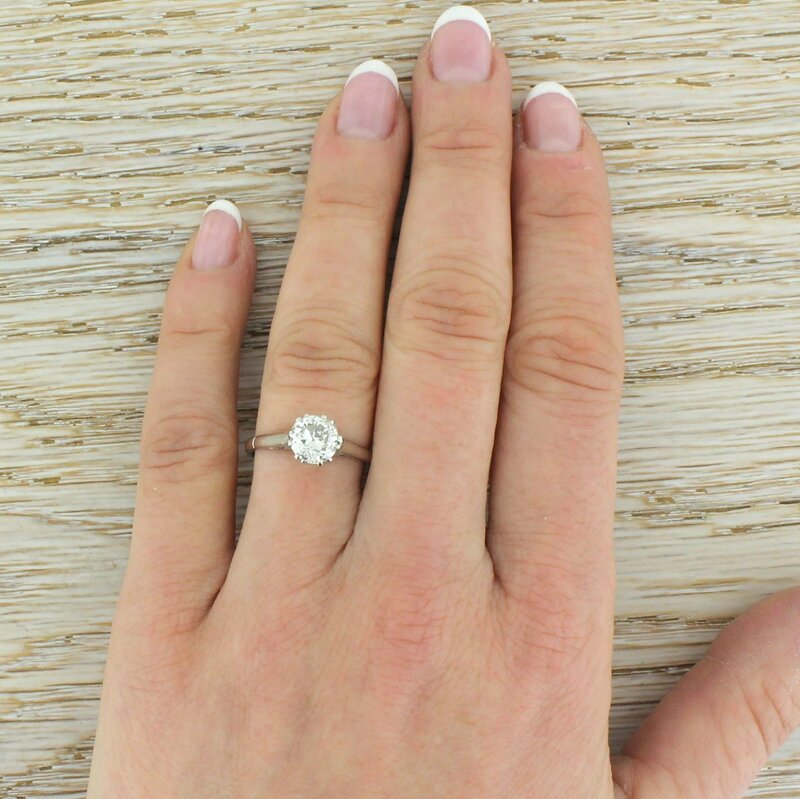 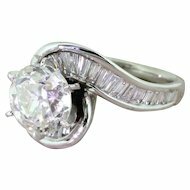 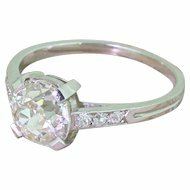 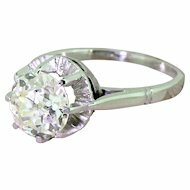 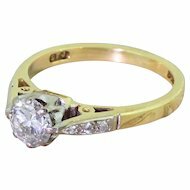 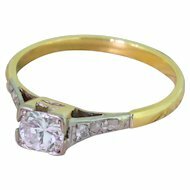 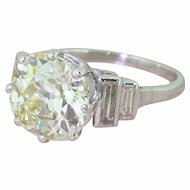 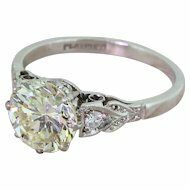 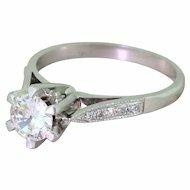 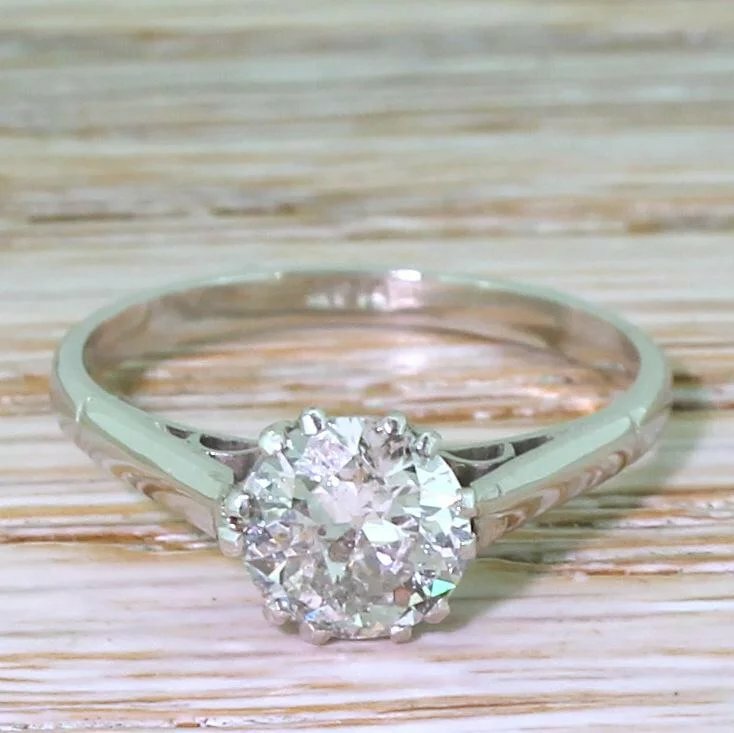 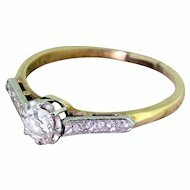 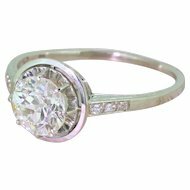 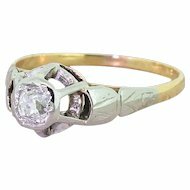 An Art Deco diamond engagement ring that both unfussy, but also loaded with detail. 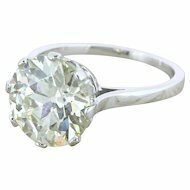 The centre stone is blindingly white and weighs in a breath under 1.00 carat. 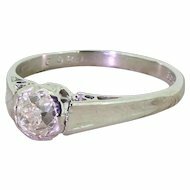 Six double claw hold the centre stone, with lovely hooped detailing in the gallery and half-moon cheniers under the shoulders. 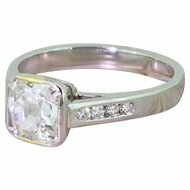 On a slim and simple D-shaped platinum shank. 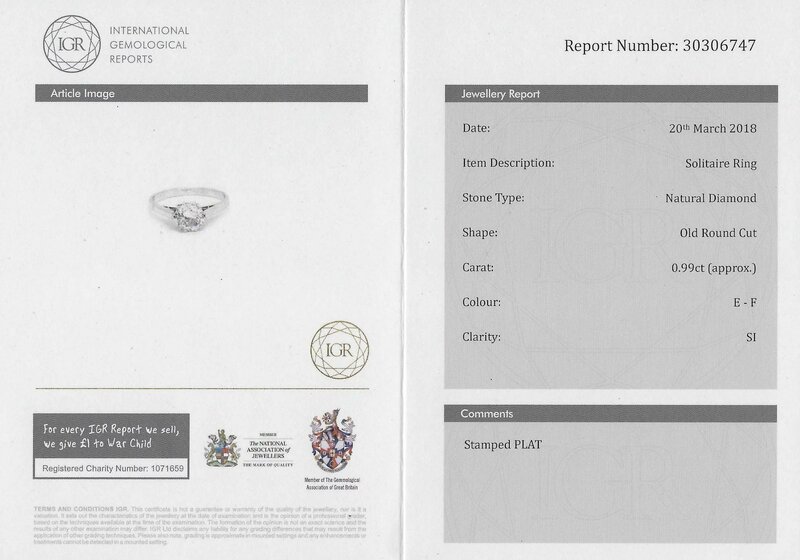 Accompanied by an independent jewellery report from IGR (#30306747). Measurements – The diamond is approximately 6.6mm in diameter and sits 4.8mm from the finger. 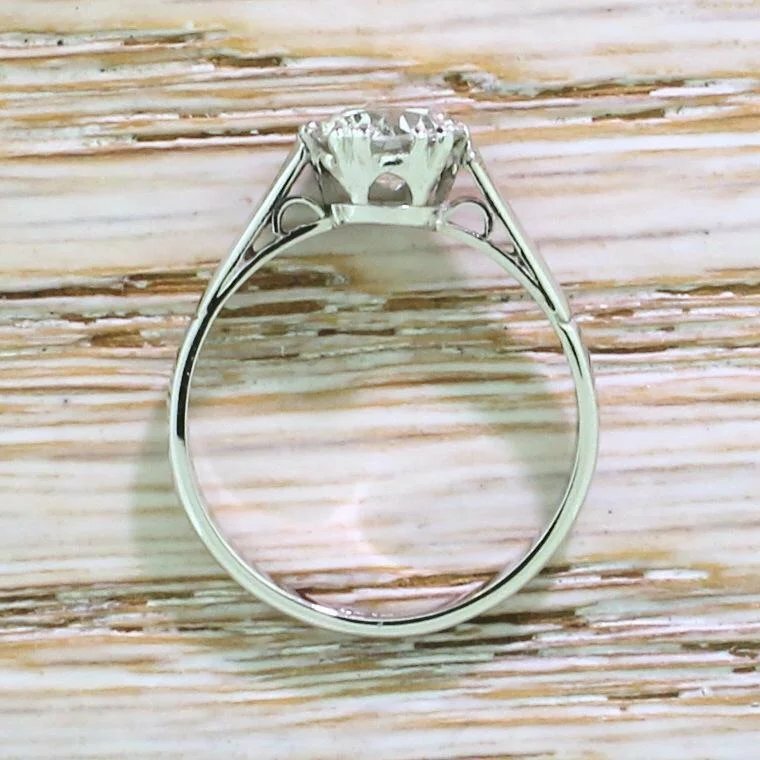 Metal – Stamped PLAT – platinum – and tests as such. 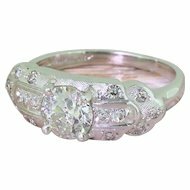 L (UK) or 5.5 (US). 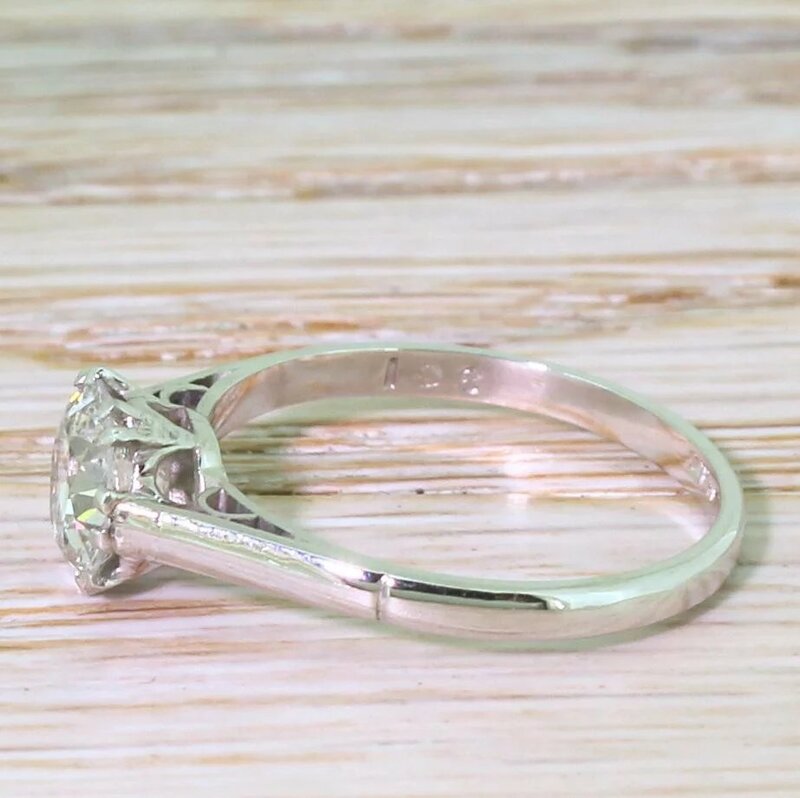 Complimentary sizing is available, can go up or down.